JANUARY 8, 2016– RICHMOND, B.C. – London Drugs, Puzzled Jewelry, and the Pacific Autism Family Centre have teamed up to raise awareness about Autism Spectrum Disorder. From January 8th until February 19th, 2016, a 925 sterling silver puzzle necklace will be available for purchase at all British Columbia and Alberta London Drugs locations to support the new Autism Centre of Excellence. Puzzled Jewelry is a brand with a cause. Created by Patricia James, Keri Kennett and Debbie Siu, each year Puzzled Jewelry designs a unique puzzle piece item to build awareness of Autism. The three mothers joined together following autism diagnoses’ that affected each of their little boys. Autism Spectrum Disorder is a developmental condition that impacts typical brain growth. As a spectrum disorder, ASD has a wide variation in how it affects each person. Common characteristics include difficulties with communication and social interactions, repetitive interests and activities, and stereotypic motor behaviours. individuals and their families with resources for their lifespan. towards the Pacific Autism Family Centre, which will be the first of its kind in North America. Providing resources such as treatment, counselling and assessments, The Centre of knowledge and innovation will involve the development of physical “hub and spoke/satellite” centres located in communities across the province, in collaboration with local community partners. The expertise and information services offered in the hub location will be available to all Canadians with services continually evolving. I absolutely love fundraisers such as this one that London Drugs is doing. I have a lot of respect for companies that create a beautiful product such as the the beautiful puzzled necklace that all proceeds go to those in need, especially children. 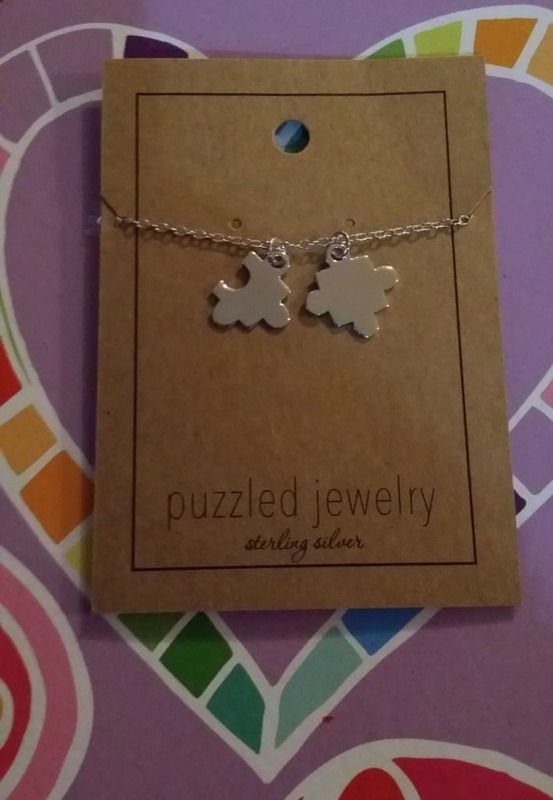 My daughter saw the puzzle necklace and loved it. It is a beautifully made piece of jewelry that anyone will love and love to wear. What is better, every time you wear the piece, you can be proud knowing you supported the awareness campaign for Autism. Make sure to head to your local London Drugs before February 19th, 2016 to be a part of this wonderful campaign to bring awareness for Autism.